Earth so pure! But is your water? How safe is your water??? Why does my water smell like rotten eggs??? Cloudy ice cubes or milky colored water. - System is still new. - Use Tds Meter to check membrane. Replace membrane and sanitize when below 75% rejection. - High oxygen content. Tiny frozen bubbles. - Some refrigerators freeze differently, leaving the ice cube looking cloudy. Let cube dissolve in glass of water. If just air, will float to surface and dissipate. - A little noise is common with air gap faucets. Check manual to be sure installed in proper location. Allow two weeks for air to work out of system. Check that drain tube from faucet is continuously down hill to drain saddle. 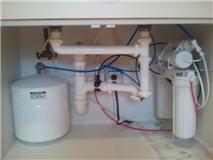 Loops or dips will cause noise and back up in drain line to faucet. -O ring not sealed properly. - If O-ring is damaged, replace. If dirty, clean, lubricate with silcone lube and retighten filter housing sump. Hand tighten firmly. Do not use a filter housing wrenchto tighten. Hole on faucet is leaking. - Clamp slipped on drain saddle preventing proper flow to the drain. - Drain tube loops or dips creating a backup. - Restriction in drain tube. Remove gunk or food particles in tube or replace the tube. Just because you are getting water out of the drain tube does not mean that it is coming out fast enough. Any backup in the tube will cause the faucet to leak. - Restriction in drain hole inside the hole on the back of the faucet. - Align hole in drain saddle with hole in drain pipe. - Shorten drain tube form faucet until smooth down hill flow to drain saddle. - Disconnect drain tube and clean out restriction. (Food particles from garbage disposal). - The drain hole in the base and on the rear of the faucet must both be clear and unrestricted. Clean as necessary. Water does not taste or smell right. - Test membrane with a TDS tester meter. Replace RO membrane when below 75% rejection and sanitize. - Replace water filters. Should be replaced every 6 to 12 months. - Drain entire tank. Should be done once every week to keep stored water fresh. - Sanitize (see Sanitizing Instructions) and replace filters. - Incoming water pressure is below 40 PSI. - Tank valve not open. - Bad water storage tank. - Check pressure with specially calibrated air pressure gauge. When empty, tank pressure should be 7 PSI. - Increase pressure to 40 PSI. May require a pump. - System takes 6 to 10 hours to completely fill. - Replace storage tank, If not bad, check that tank air pressure is between 7 PSI when empty. - Un-kink tube. If damaged, replace tube. - Prefilters are partially plugged. Lowered water pressure prevents the hydraulic shut off valve from actuating. - Auto-shut off valve not working. - Low incoming water pressure. - Tank bladder is ruptured. Is the tank heavy after draining out all water? - Flow restrictor worn out. - Membrane is bad (fouled). - Replace prefilters. To check if if it is the prefilters you can remove them and operate the system without them until it shuts off. This will confirm that the filters are the problem. 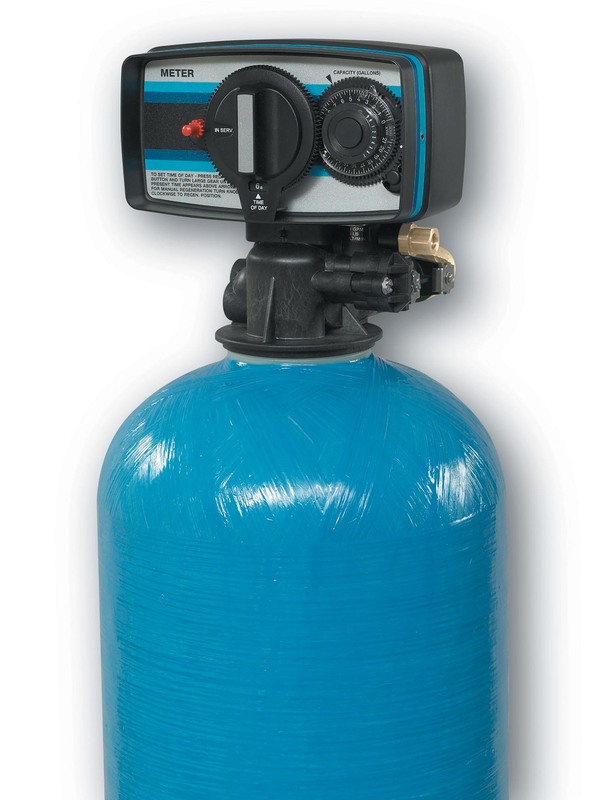 - Increase incoming water pressure to 40 PSI or better. This may take a pump. - Check tank pressure withair pressure gauge. Fill to 7 PSI. - Replace the flow restrictor. - UseTDS tester meter to check membrane. - Ball valve to ice line is off. - Ice maker handle in refrigerator is off. - Ice maker line frozen. - Tube to refrigerator is kinked. - Turn on ball valve, also check for any kinked tubes. - Pull to down position to turn on. - Thaw with hair dryer. Make sure you have a full tank of water before turning icemaker on. - Find kink and replace tube. No water out of refrigerator door. - 1 quart reservoir not full. - Hold down dispenser handle for approximately 2 minutes until water comes out. Make sure RO tank is full. TDS of RO water (permeate) is the same as the incoming feed water. Also high pressure and endless supply from RO faucet. - ASV (auto shut-off valve) is defective - High pressure inlet water bypassing the rubber diaphragms in the ASV and entering the Permeate (RO) water line. - ReplaceASV auto shut off valve. - Remove and reinstall membrane making sure that the Brine Seal is making contact with the inside of the membrane housing wall. Seal the Brine Seal with Silcone sealant. Clean the inside of the membrane housing wall when the membrane is removed. Examine membrane housing to see if it has warped. A membrane's brine seal will slowly form to the contour of a housing that is warping. So the old membrane might fit while a new membrane will have trouble fitting in a warped housing. Replace a warped membrane housing. - Your RO system makes water a drop at a time. 4 gallon storage tank should be full within 6 hours. - Increase incoming water pressure. This may require a pump. Check for kinked tubes. - Check tank pressure with air pressure gauge. Fill to 7 PSI. 1. Control will not regenerate automatically. a. Transformer or motor not connected. c. Skipper pins not down on timer skipper wheel. d. Binding in gear train of timer. 2. Control regenerates at wrong time of day. a. Correct time setting according to instructions. 3. Control will not draw brine. e. Air check valve closes prematurely. f. Timer locking pin not horizontal. a. Set pump to maintain 20 psi at softener. b. Change drain to remove restriction. c. Clean injector and screen. 4. System using more or less salt than salt dial setting. a. Foreign matter in controller causing incorrect flow rates. a. Remove brine control and flush out foreign matter. 5. Intermittent or irregular brine draw. 6. No conditioned water after regeneration. a. No salt in brine tank. c. Air check valve closes prematurely. a. Add salt to brine tank. b. Clean injector and screen. Electrical service to unit has been interrupted. Softener delivers hard water. A. No salt in brine tank. Insufficient water flowing into brine tank. Add salt to brine tank and maintain salt level above water level. Check brine tank fill time and clean brine line flow control if plugged. Repeated flushings of the hot water tank is required. Make sure distributor tube is not cracked. Check O-ring and tube pilot. Replace seals and spacers and/or piston. 3. Unit uses too much salt. A. Excess water in brine tank. A. B. Check salt usage and salt setting. 4. Loss of water pressure. A. Iron buildup in line to water conditioner. Iron buildup in water conditioner. Inlet of control plugged due to foreign material broken loose from pipes by recent work done on plumbing system. Clean line to water conditioner. Clean control and add resin cleaner to resin bed. Increase frequency of regeneration. Remove piston & clean control. 5. Loss of resin through drain line. A. Air in water system. A. Assure that well system has proper air eliminator control. Check for dry well condition. 6. Iron in conditioned water A. Fouled resin bed. A. Check backwash, brine draw and brine tank fill, increase frequency of regeneration. Increase backwash time. 7a. Excessive water in brine tank. A. Plugged drain line flow control. A. Clean flow control. 7b. Salt water in service line. A. Foreign material in brine valve. Foreign material in brine line flow control. A.
D. Clean injector and replace screen. Clean or replace brine valve. Clean brine line flow control. 8. Softener fails to draw brine. A. Drain line flow control is plugged. Line pressure is too low. Clean drain line flow control. Change seals and spacers and/or piston assembly. 9. Control cycles continuous A. Faulty timer mechanism. A. Replace timer. 10. Drain flows continuously. A. Control valve jammed in brine or backwash position. Timer motor stopped or jammed. Remove piston assembly and inspect bore, remove foreign material & check control in various regeneration positions. Replace seals and/or piston assembly.